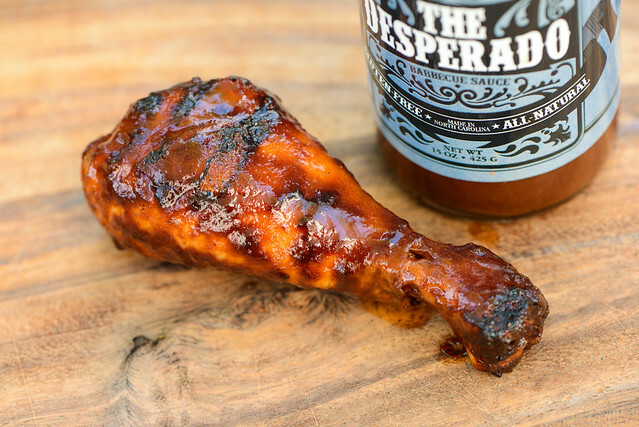 The Desperado is an incredibly unique barbecue sauce that uses chocolate and a variety of dried chiles to give it a mole-like character out of the jar that veers more towards barbecue after being cooked. 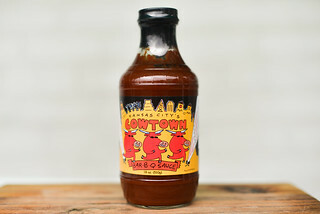 At a recent beer tasting event in Chapel Hill, I eyed one of the few non-beverage vendors slinging some mighty fine looking barbecue sauces. Upon closer inspection, I realized it was for Wildcard Sauces, a brand I was familiar with after they sent me their Gunslinger sauce for review a couple years back. I got to talking to one of the owners and found out that they've improved and expanded their line-up of sauces and I eagerly bought two of the variations that seemed most interesting. 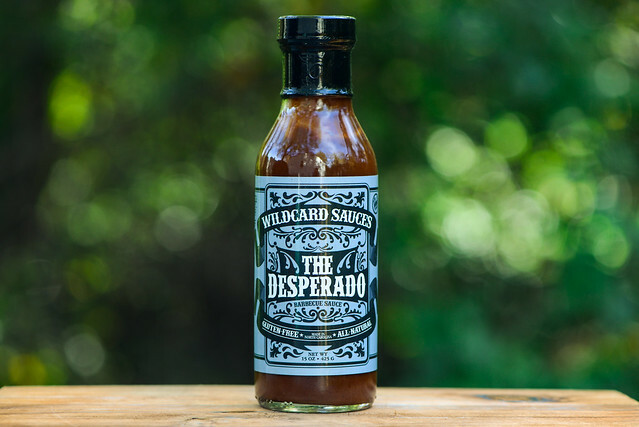 Wildcard Sauces gets its name from the two founder's—brothers Ryan and Kyle Fraser—decision to become wildcards themselves by ditching their corporate grinds and taking up a life of barbecue. 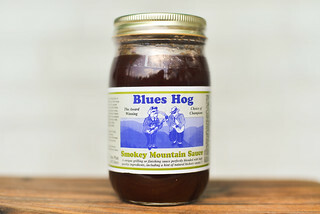 They headed out on the road to discover what makes the best barbecue sauce and found there's no one right answer in a landscape of such varied a staunch opinions. To answer that diverse call, they created a line of unique sauces to suit a wide swath of tastes. There are currently five different varieties to choose from under the Wildcard brand. What first strikes you with the aroma of this sauce is it more reminiscent of a mole than than barbecue sauce. It has a chocolaty character with strong earthy undertones of dried peppers. Its inherent sweetness is the first component that moves it into barbecue territory, with a mellow fruity tomato base being the second. There's also a savory depth from what smells like Worcestershire that adds another element of barbecue complexity. This brown sauce with an orange hue is completely opaque, making it hard to see any spices at all. It has a smooth consistency whose thickness sits perfectly at medium. It flows in a quick and steady stream at first off a suspended spoon. As it begins to slow, the sauce changes to falling in drips that progressively get slower and shorter until it stops and leaves a thin coating that totally obscures the base of the silverware. 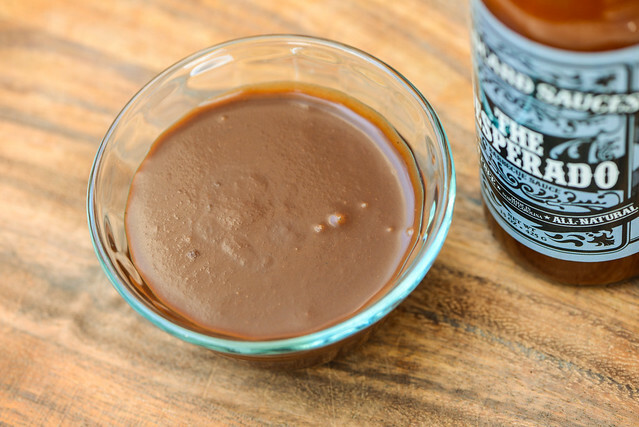 The initial taste of this sauce has a very earthy and chocolaty flavor. It lacks sweetness, so the natural bitterness of the chocolate comes through. It only takes a second or so for the sugars to start working and bring some balance to the bitterness. At the same time, the tomato flavor kicks in and creates a bit of an odd dichotomy with the chocolate. It begins tasting a little more like a barbecue sauce when the Worcestershire comes in, which is followed by spices that start with a light onion and garlic, then transition to peppers that punch up the earthy quality add a kick of heat at the end. This leaves a final chocolaty, earthy, and spicy aftertaste. This sauce brushed onto the chicken in a thin, but even coating. There was a little loss of sauce over indirect heat, then larger burn off over direct heat that required me to apply one last brushing before removing from the grill and tasting. Any confusion of identity the sauce suffered out of the jar was changed after being cooked as the sauce found a stronger barbecue footing. The tomato was brought more the forefront and was in a pleasing balance with the enhanced sugar and tang. That distinct chocolate flavor wasn't lost though, instead it added a complexity not found in any other sauce I've tasted and was made all the better fro the earthy flavors of dried peppers that persisted. Not being a huge mole fan, I was a little conflicted with this sauce out of the jar. I could taste that this was a well thought out sauce with an excellent progression of varied flavors, but ultimately I'm not big on chocolate in savory applications, so wondered what I would personally use it for. 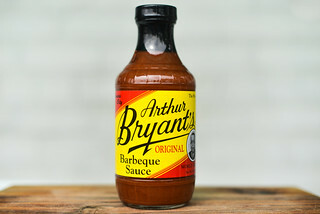 After being cooked though, I was left with no doubt that it's fit to be a contender among barbecue sauce greats. Because the upfront chocolaty flavor receded and became better balanced with the more common components of barbecue sauce, it ended up having a really unique, yet not overly challenging flavor. It certainly made it stand out from the crowd, but didn't make my chicken taste like it was Mexican mole—not that that's a bad things, it just veers a bit off course from barbecue. It got me thinking of an ideal rub to pair with it to create a really uniquely flavored rack of ribs, but it's so good without additional seasoning that I wouldn't hesitate to use this sauce to dress my chicken, pork, or grilled beef. Congratulations to Ryan and Kyle for finding the courage to ditch the corporate gigs! I had never considered a mole type barbecue sauce. That has got to one complex flavor profile!